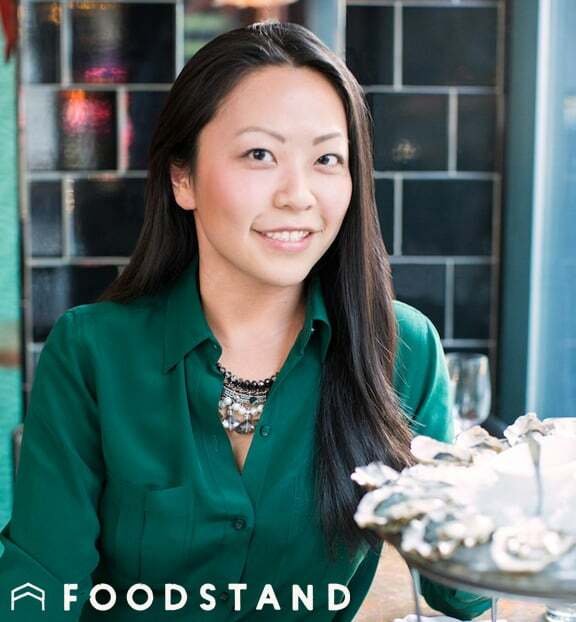 Oyster sommelier Julie Qiu (@inahalfshell) knows her stuff. Her blog In A Half Shell began as a personal quest to become an oyster connoisseur, but it has evolved far beyond her initial goal. Not only is it beautiful, Julie’s website is a wealth of knowledge and resources—she features City Guides to oysters around the world, an Oyster Concierge feature where you can learn about varieties of oysters all the way from California to New Zealand, and the ultimate oyster FAQ in Half Shell 101. Plus much more! What’s your business in 10 words or less? Maximizing the joy of oysters through personal stories and experiences. What’s the most important thing we should know about what you do? There is no official “oyster sommelier” certification or title (yet), but it’s the closest label that explains what I love doing. Oysters for me is still very much a passion project. What is your favorite variety of oyster? That’s very difficult to say, as I love a broad spectrum of oysters—different species, different regions, different producers… and it depends on where I am eating them! Generally speaking, I am almost always happy with oysters from Maine, Massachusetts, and the Pacific Northwest. Who/what was/is your food inspiration? I learned to keep things simple from my mom. Her cooking is amazing, but it’s super simple—she lets the ingredients shine on their own, which is how oysters should be treated as well. For more visual inspiration, just look at who I follow on Instagram! How did you first fall in love with oysters? My first encounter with oysters was pretty wishy washy. I was 15 and was visiting some family in San Diego. One day at lunch, I insisted on ordering two dozen raw oysters for the table (because I was a fancy teenager) and distinctly remember liking some of them and really disliking others. A decade later, I read “A Geography of Oysters” by Rowan Jacobsen and that sparked the initial intellectual curiosity. It inspired me to learn about and experience as many oysters as I could get my hands on. My bf at the time (now husband) took me to the Hog Island Oyster Bar in San Francisco, where I slurped my first Hog Island Sweetwater. There was something about that oyster that I had never tasted before. It was alive, complex, unadulterated and sublimely delicious. I fell in love right then and there. Meeting people who share the same passion and nerdiness about food. Having FOMO all of the time. I’d like to think that I’d still be involved with food somehow. I actually just started a new position as Marketing Director for Australis Aquaculture and that has allowed me to explore the other side of the sustainable seafood / aquaculture spectrum! Good food creates value for every stakeholder: the eater, the producer, the chef, purveyor, and environment. What’s one piece of advice you would give to an oyster newbie? Don’t take my word (or anyone’s word) as the be-all and end-all for your oyster adventures. Always ask questions, experiment often, and never underestimate your own ability to shuck! I would love to have oysters with Anthony Bourdain. I think he prefers Wellfleets, but it would be fun to do a comprehensive tasting. There are two cities that offer the largest variety of oysters—NYC and Hong Kong. Toronto wouldn’t be bad either. I WISH I had fresh oysters always in my fridge, but that’s not realistic. My fridge is usually stocked with seasonal fruits and veggies. My freezer is usually packed with wild ducks (my husband goes duck hunting every winter), Maine dayboat sea scallops, and barramundi… Oh, and ice cream. EXPERTS’ EPIC FOOD FAILS—IT’S NOT JUST YOU.